Managers today are experiencing an increased focus on emergent collaborative technologies designed to enable virtual organization users to share resources and accomplish complex tasks better. 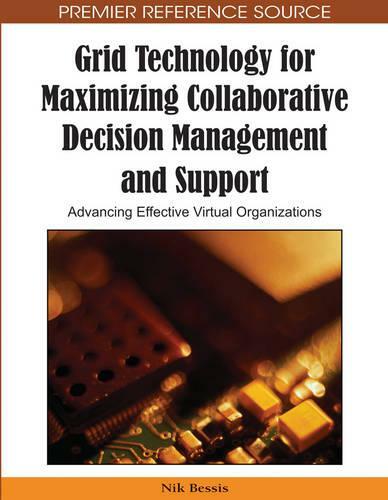 Grid Technology for Maximizing Collaborative Decision Management and Support: Advancing Effective Virtual Organizations provides a state-of-the-art collection of opportunities and applicable practices of grid technology to sustain competitive advantage. Offering a collection of international research studies by leading experts, this book describes how grid technology can be applied to serve the purpose within interconnected organizations in an effective and efficient collaborative setting.